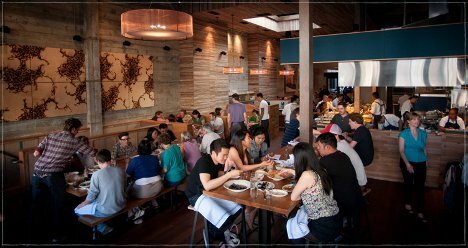 Diners and restaurant critics seem to agree that the noise level in a restaurant can make or break the dining experience. But it’s a fine balance – too much noise and customers feel crowded and overwhelmed; too little and they feel like their conversations can be overheard by absolutely everyone in the place. 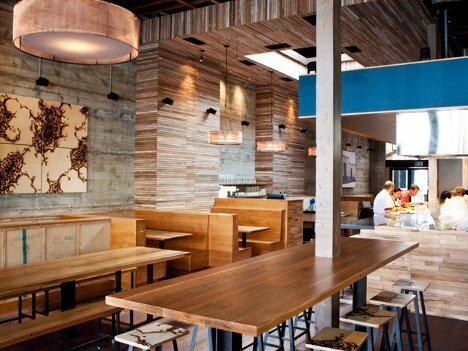 A restaurant in Berkeley, California has come up with a high-tech solution to the noise conundrum. 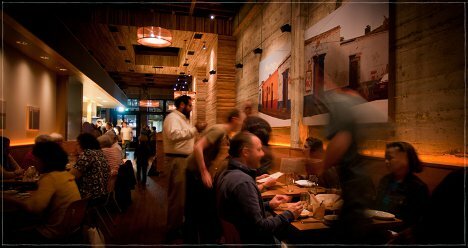 Comal, a Mexican restaurant owned by ex-Phish manager John Paluska, is using a combination of microphones, speakers, a digital processor, and absorption materials to create a totally unique noise control system. The first step in transforming the space into a sound-friendly one was to install plenty of sound-dampening material: wood fiber acoustic panels, fiberglass duct liner and even some recycled denim jeans. A network of 123 speakers and microphones are distributed all throughout the dining room, hidden by art and other design elements. The microphones pick up the sound from the restaurant and feed it through a digital processor. Then it’s spit back out into the dining room based on commands from an iPad. A restaurant manager walking around the dining room can decide what level of sound is appropriate and even designate different levels for different areas. So far, it’s kept Comal – the first restaurant to use this technology – at a calm and conversational volume. See more in Futuristic or under Technology. May, 2012.